Interior of the new Dormont boutique Helen & Earl. Image courtesy of Emily Price. Emily Price believes there’s a perfect hat for everyone. You just have to find it. And she hopes to help with that. 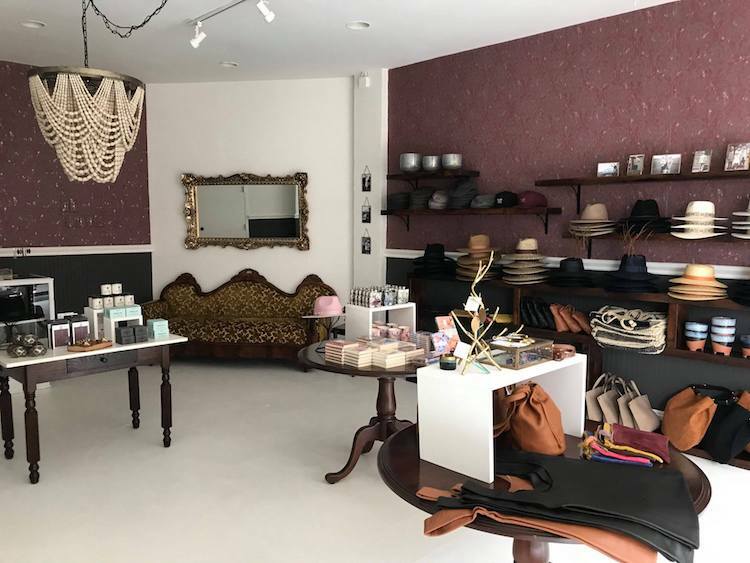 The 34-year-old marketing professional recently opened the doors to a hat and lifestyle boutique — Helen & Earl — in the heart of Dormont at 1405 Potomac Avenue. Named after her beloved grandparents, the shop blends old world and modern traditions with a little bit of edge. The shop, which had a soft opening earlier this month, celebrated its grand opening last Friday. It’s open Tuesday to Friday from 11 a.m. to 6 p.m. and Saturday from 10 to 5. Price plans to launch an online site later this month, but she hopes the brick-and-mortar store will become a destination that feels welcoming and special to customers. Dressed in her staple black jeans and grey T-shirt — a blank canvas, of sorts — Price says the shop is filled with pieces she would wear. She makes her own outfits pop with additions like brass jewelry, an edgy jacket and, of course, a hat. While Price says she never plans to sell clothing, she does try to take risks with fashion, something she says she learned in 2001 when moving to New York City to attend NYU. 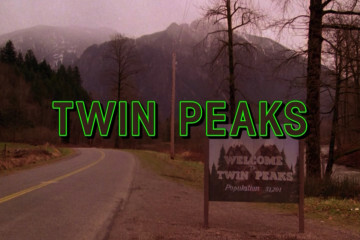 Price spent seven years there, eventually working in marketing for boutique hotels and the defunct Condé Nast magazine Details. She returned to Pittsburgh to attend grad school at Pitt and began working in the nonprofit and agency sector. After giving birth to her daughter, Vivienne, 18 months ago, Price went out on her own as an independent marketer. She also decided to open Helen & Earl. “I just kind of felt like, now is the time to do something different and take a risk,” she says. Interior at Helen & Early boutique in Dormont. Photo courtesy of Emily Price. She initially thought about opening a shop in Wilkinsburg, but didn’t find the right location there. At the entrance of the 550-square-foot boutique, an array of fedoras, boaters, rancher hats and caps line the main wall. Prices range from $39 to $120. Underneath is a row of staple bags — “classic silhouettes,” as Price calls them — which align with the shop’s theme: To offer classic and elegant accessories. To serve as decor and inspiration, black and white photos of the late Helen and Earl Price adorn the walls and the decor (including wallpaper from Lawrenceville boutique Von Walter & Funk) is inspired by their taste. 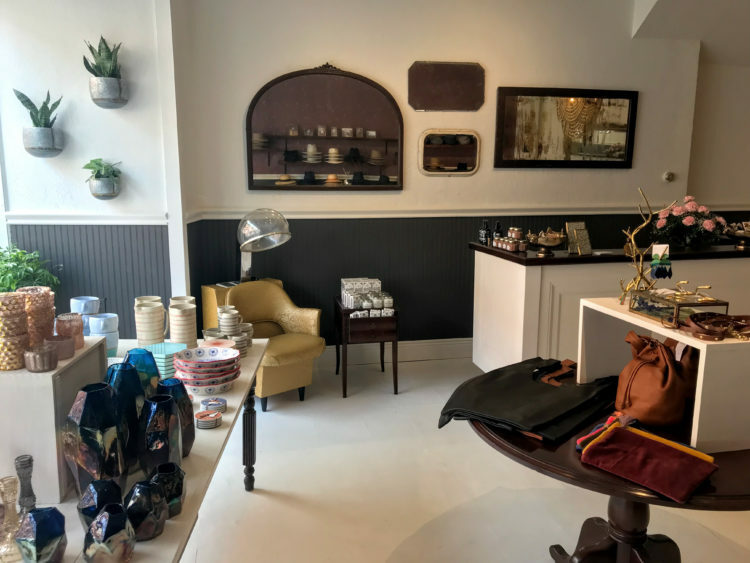 Along with hats and jewelry, the shop has a home goods area that includes candlestick holders, coasters and trivets, stationery and men’s and women’s flasks. An old salon chair fills out the beauty area, where Price sells cold creams, face masks and body soaps.